Can I Make a Bicycle Accident Claim? Have you been injured in a bicycle accident that was somebody else’s fault? If so, you may be eligible to make a bicycle accident claim against the person that caused the accident. 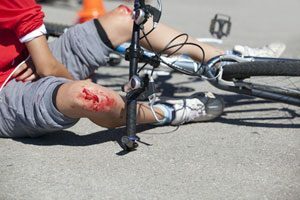 At InjuryClaims.co.uk, we have expert personal injury solicitors that have years of experience handling all types of road accident claims, including bicycle accidents. was somebody else at fault for the accident? did you suffer some form of personal injury? did the accident happen within the last 3 years? If your answer to each of the above 3 questions is ‘yes’, it is very likely that you would be entitled to pursue a claim. To find out within minutes if you have a valid claim for injury compensation, contact us today for a completely free consultation. If you can make a claim, we will take expert care of all the details while you recover from your injuries. Cycling as a mode of transport has increased quite significantly in recent years. Research published by the Cycling UK shows that 42% of the UK population either own or have access to a bicycle. Every year thousands of people are involved in cycling accidents throughout the UK. In 2013 there were 19,329 people injured as a result of cycling accidents according to statistics published by RoSPA. From this number, 109 people were fatally injured, and a further 3,000 people suffered serious injuries. Bicycle accidents can also occur due to faulty products. If you have suffered a personal injury because of a fault with the bicycle itself, you may still be eligible to make a compensation claim against the manufacturer or the seller of the bike. The injuries suffered by cyclists can be extensive as they do not have as much protection as a driver or passenger in a motor vehicle. There are no seatbelts, no metal cages and no airbags that can help to protect the cyclist from a sudden impact. Wearing a bike helmet can help to protect a cyclist’s head from significant head trauma, but the rest of the body is extremely exposed. Broken bones and other serious injuries are therefore not uncommon for many people involved in these accidents. Accidents with bicycles can happen for a wide variety of reasons. Some may be caused by the negligence of another road user or the highway authority, whereas others may be caused by an error or lapse in concentration of the cyclist. Being involved in a collision with another vehicle such as a car or bus is the type of accident most likely to result in a personal injury claim being made. A car may try to overtake a cyclist without giving enough room, make a turn across the path of a cyclist or cross lanes without checking for cyclists. In each of these cases, an injured cyclist would be able to pursue a claim for compensation against the driver of the vehicle responsible for the accident. If the driver of this vehicle fails to stop at the scene, the police should be notified immediately. If this driver is not found, or if they left the scene of the accident because they do not have a valid licence or insurance policy, a personal injury claim can potentially be made through the Motor Insurers Bureau (MIB). A cyclist may lose control of the bike for a variety of reasons. This may include cycling too fast, not paying attention, performing tricks while riding, etc. Under these circumstances, the only person at fault is likely to be the cyclist involved, so a compensation claim would be unlikely. However, if the cyclist looses control of their bike due to a poorly maintained road, such as hitting a pothole, it may be possible to make a successful claim against the highway authority responsible. Issues with the bike itself can make it dangerous to ride and lead to accidents and injuries. Such issues could include a loose wheel, incorrectly inflated tyres, brake failure, damaged pedals or issues with the bike chain. Regular checks and maintenance are therefore essential to ensure the bicycle is safe to ride without putting the cyclist at risk. If you have been injured in a bicycle accident and are looking to get some advice on making a claim, we can help. Our network of personal injury lawyers are experienced in handling bicycle accident claims and recovering the maximum amount of compensation possible for our clients. To start a claim with us, you do not have to put yourself under any financial strain, as we work on a No Win No Fee basis. This means there are no upfront fees to pay, and if your claim is not successful, you will not be charged by your solicitor for the work they have done. 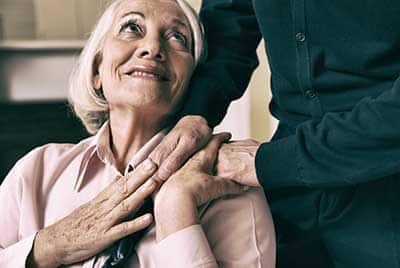 Even if you are unsure about making a claim, we will provide you with the best legal advice to need to decide what is best for your individual circumstances. We are happy to provide you with impartial advice without any cost or obligation to proceed. To find out more, contact us today for a free accident claim assessment.